As we know, MapleStory is collaborating with the "Re:ZERO – Starting Life in Another World" game. 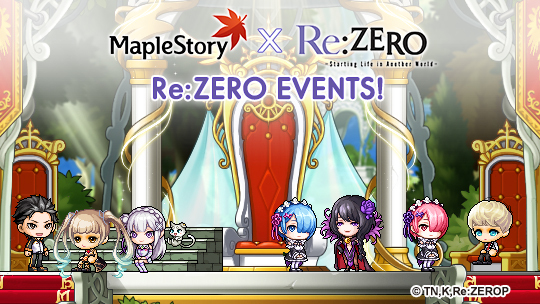 In celebration of the partnership, MapleStory plans to host MapleStory X Re:ZERO Themed Events from May 11 to June 7. The collaboration event has placed Emilia, the main female lead of the anime as an NPC within the world of MapleStory, by doing quests for her, players will be rewarded with gift boxes, special titles and achievement all themed around the anime. 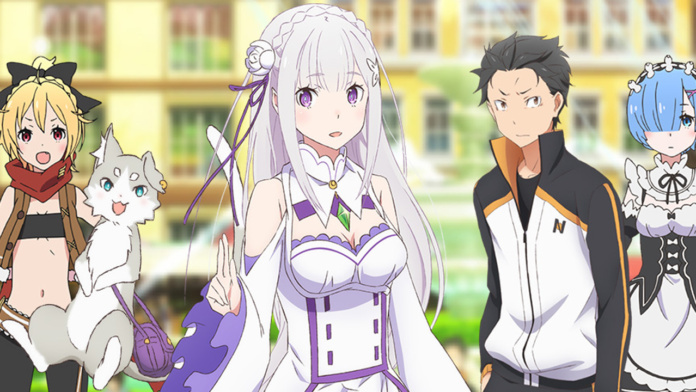 To remain true to the theme of Re:Zero, if players make any mistakes during the special event quests, they will have to restart the quest from the beginning. Players who manage to complete the daily challenges and quests will be able to redo them for additional bonuses. In addition to Emilia being added to the game as an NPC, the Reboot world server is also getting some Re:Zero love. New players in this world can unlock loot like Emilia’s Insignia which is unlocked upon hitting level 30, 20 million mesos, as well as various potions and items themed around the anime series. Additionally, a hair coupon can be acquired granting the player to a new-do inspired from some of the more popular characters of the anime, which include Subaru, Rem and Ram and of course Emilia amongst a few others. For those who just want the most out of the timed event, can purchase additional loot through the Cash Shop as well as the random boxes, that grant players with a plethora of cosmetic gear themed around Re:Zero. The event has been already underway on the Japanese servers, but now can be accessed by English speaking players as well. It's high time to take part in the themed events and being rich with various of rewards! What are you waiting for? Log into MapleStory and play it!